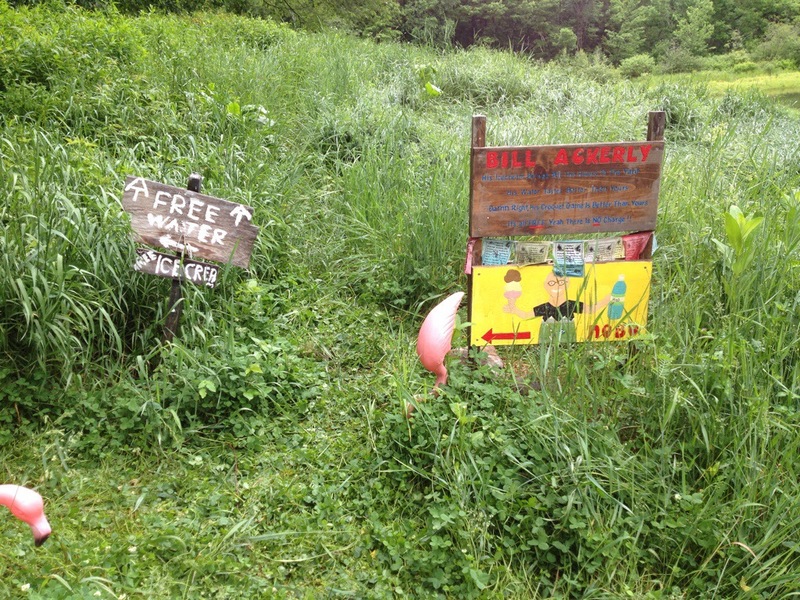 Hexacuba Shelter, NH, AT NOBO mile 1,771.8, Saturday June 14, 2014 — Hexa who? what? Simple. The Hexacuba Shelter is a hexagonal shaped shelter located on Mt. Cube. That’s the story. 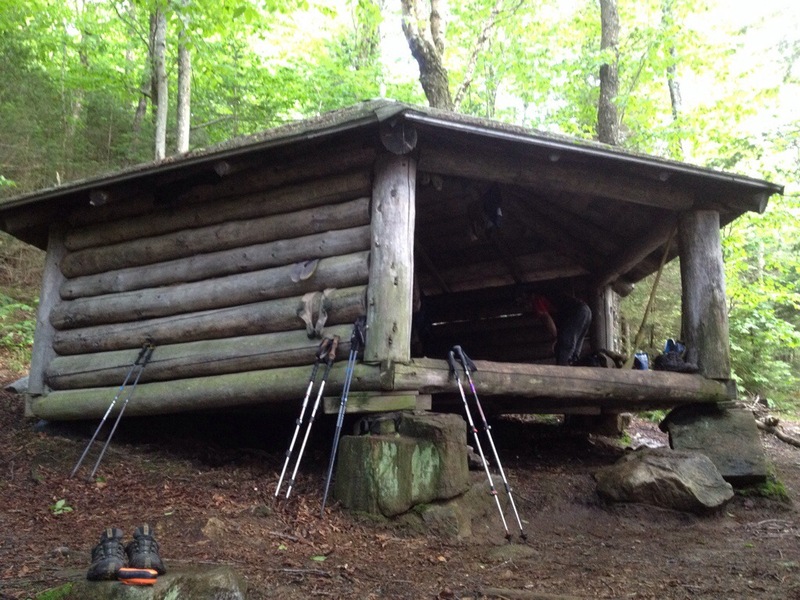 This shelter features told to me years ago by Bob Schwarz and Bert Porter told me about hiking in the White Mountains. The place is unique, and it’s special to be here. The day started with a treat. 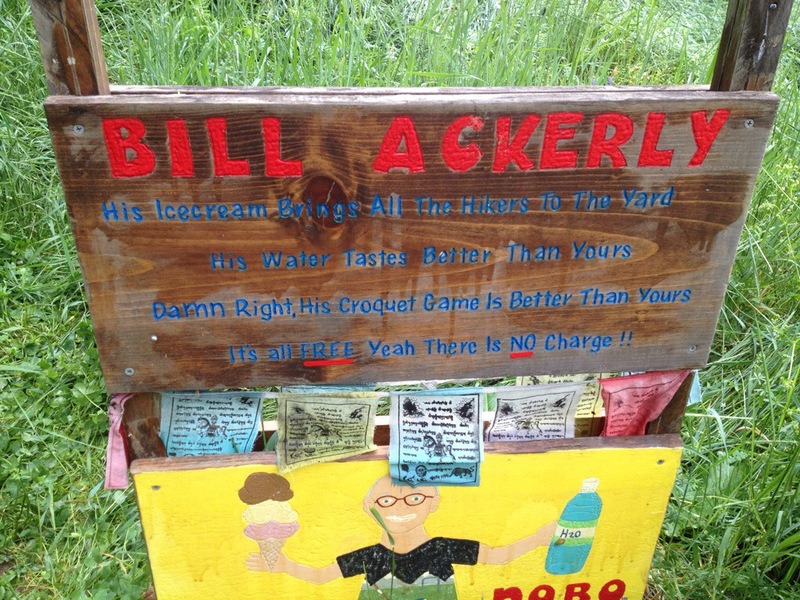 Bill Ackerly, who lives trailside, has been befriending passing hikers for decades. Like the cookie lady, Bill has an affinity for the dirty, tired itinerants drifting past his door. The lucky ones are invited to a game of croquet. Warning: Bill is good and has home court advantage. Tomorrow it’s a short hike to a small hostel. The following day the serious challenges begin starting with 4,802 ft. Mt. Moosilauke. Not a hike. It’s a climb. 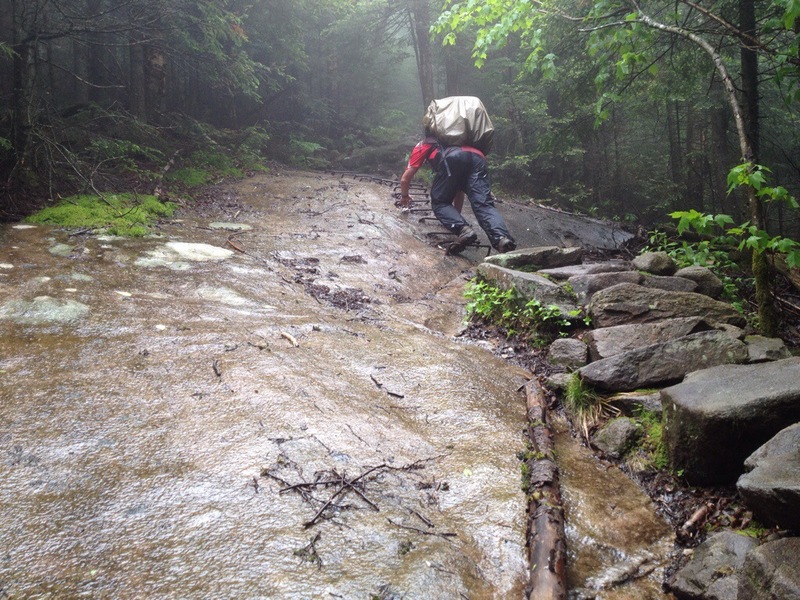 The genius trail designers have been helping us practice. The photo is Warren testing the rebar ladder. Note: I’ve refrained from scatalogical and privy humor so far. The privy at Trapper John left no choice. .
Bill sounds like a character. I hope you took him up on ice cream and croquet. It sounds so Victorian. The rebar ladder looks sturdy. 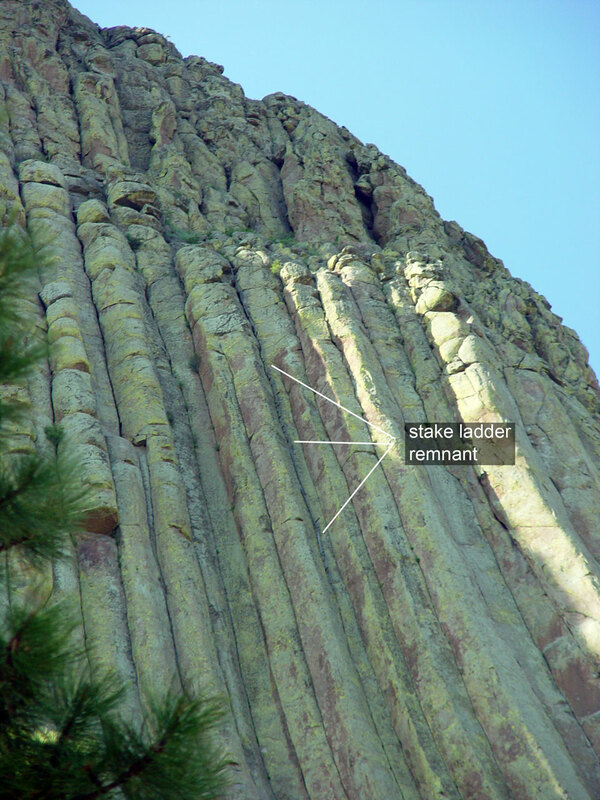 It reminds me of seeing the wooden stake ladder up the side of Devil’s Tower. The hut seems quite well built and sturdy. No flimsy construction there.